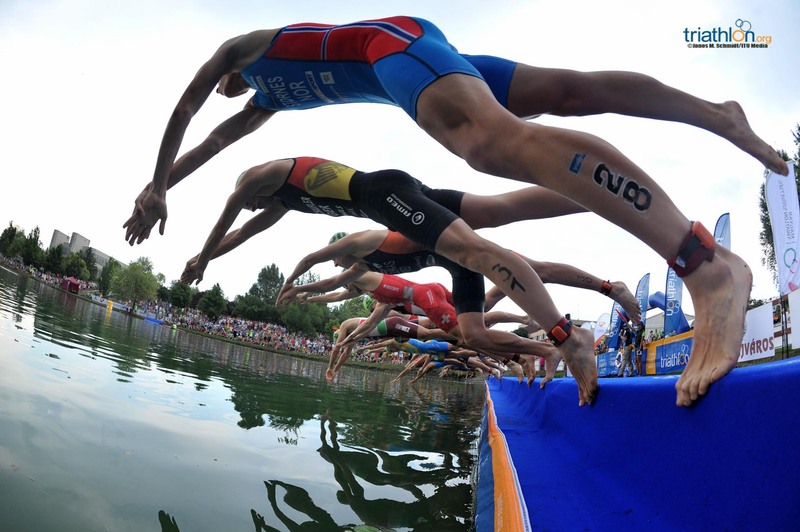 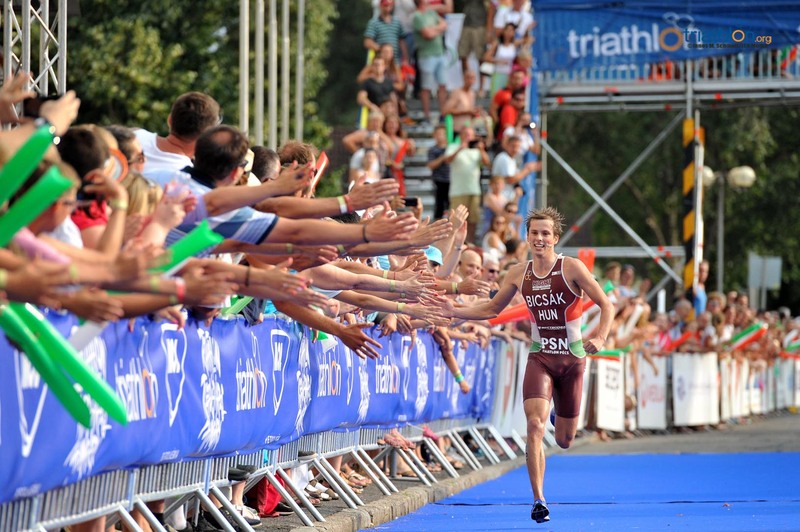 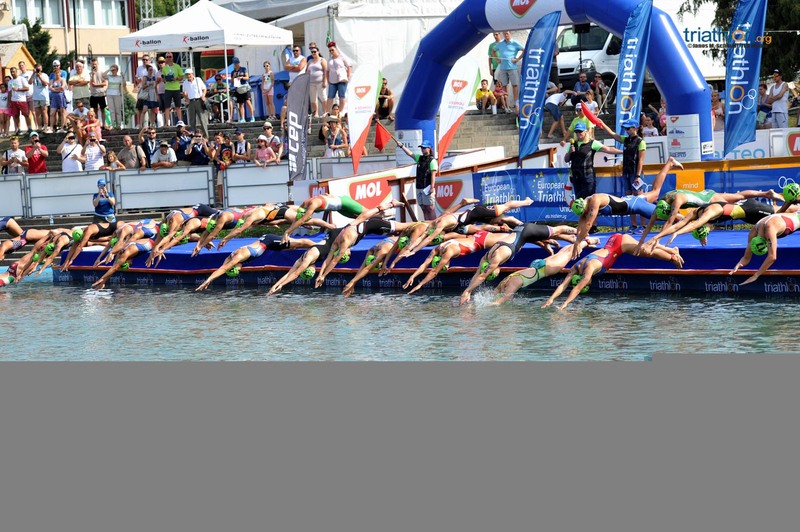 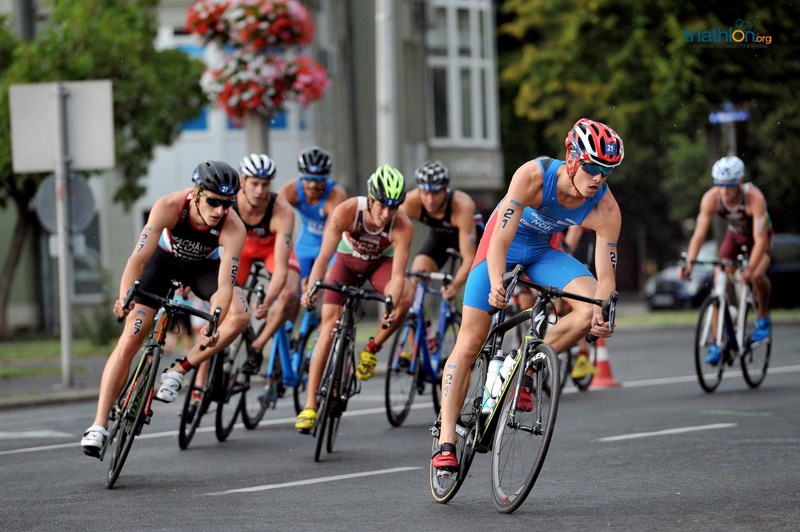 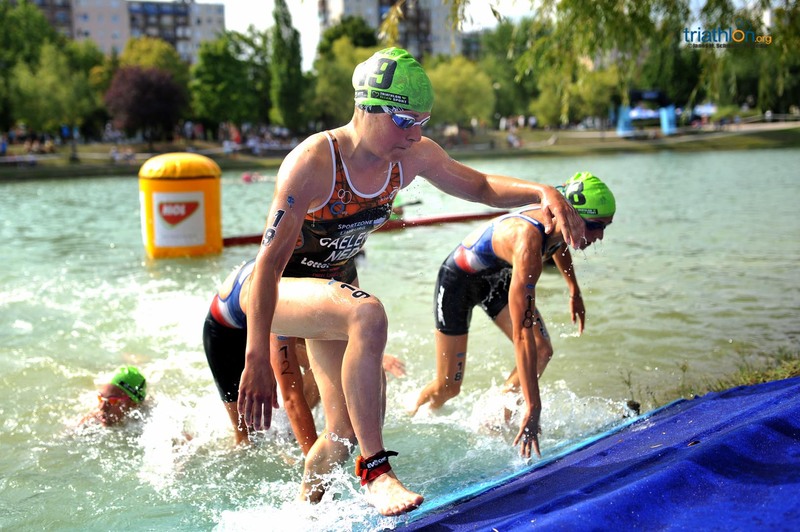 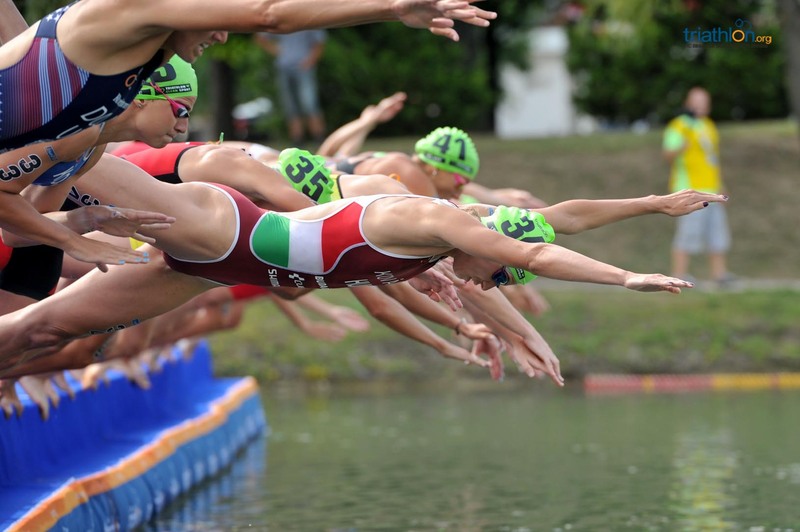 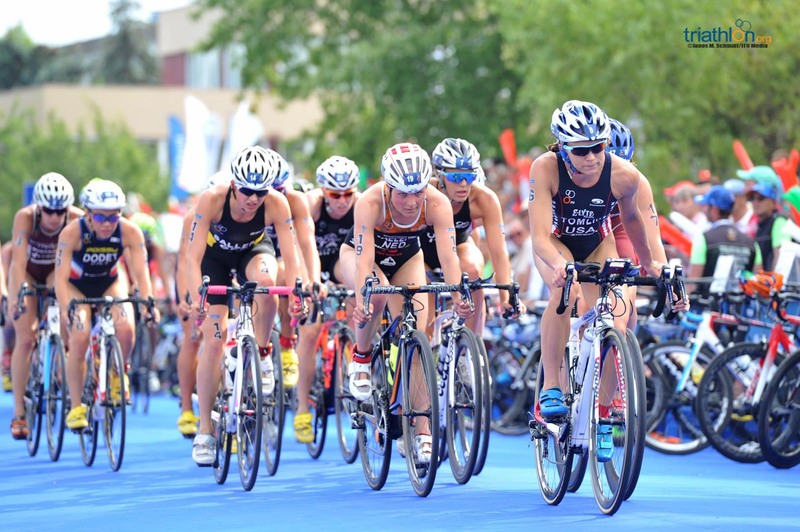 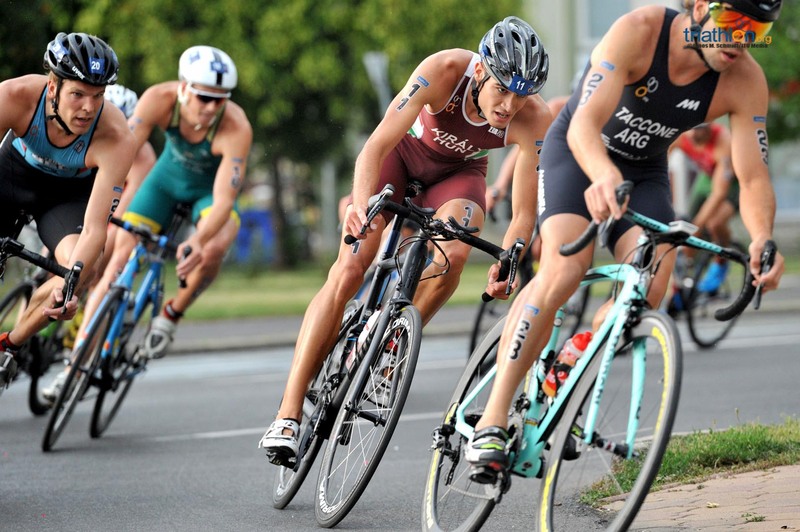 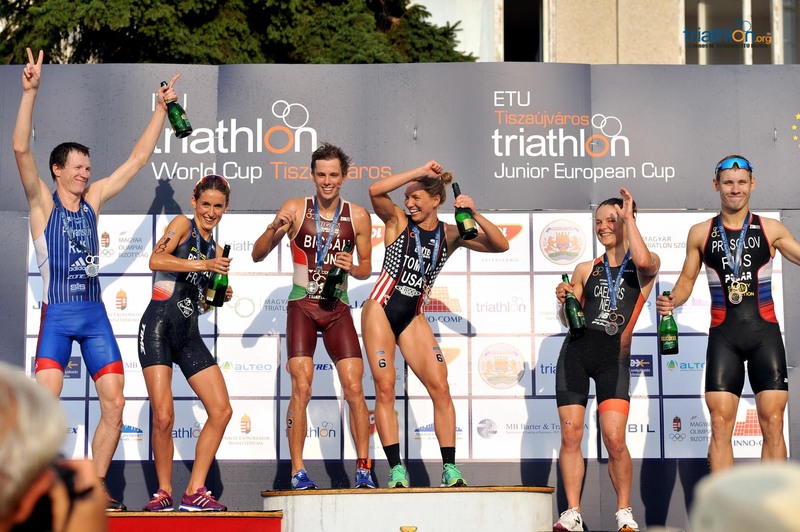 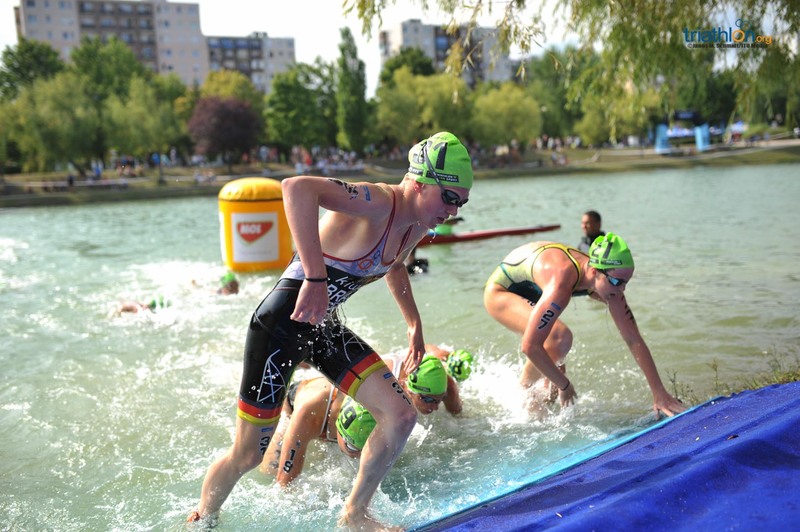 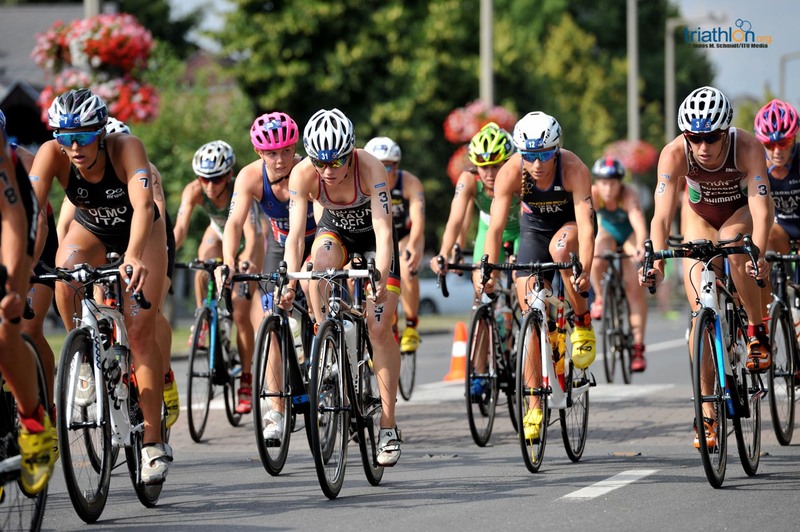 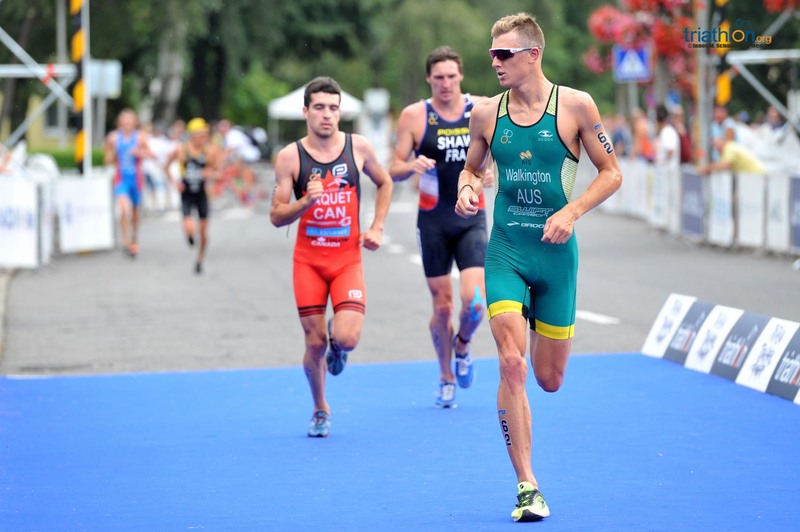 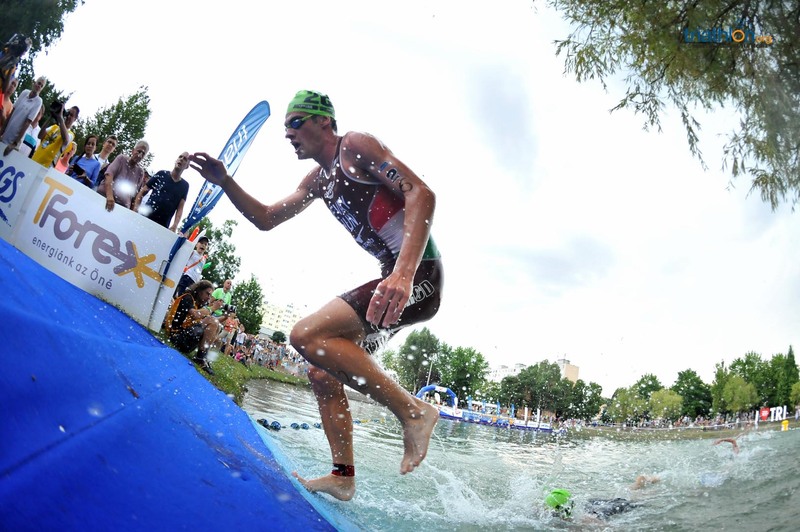 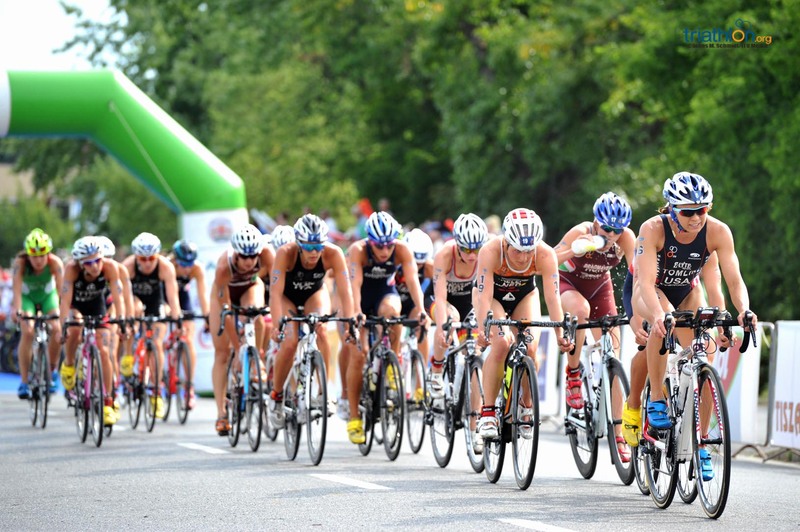 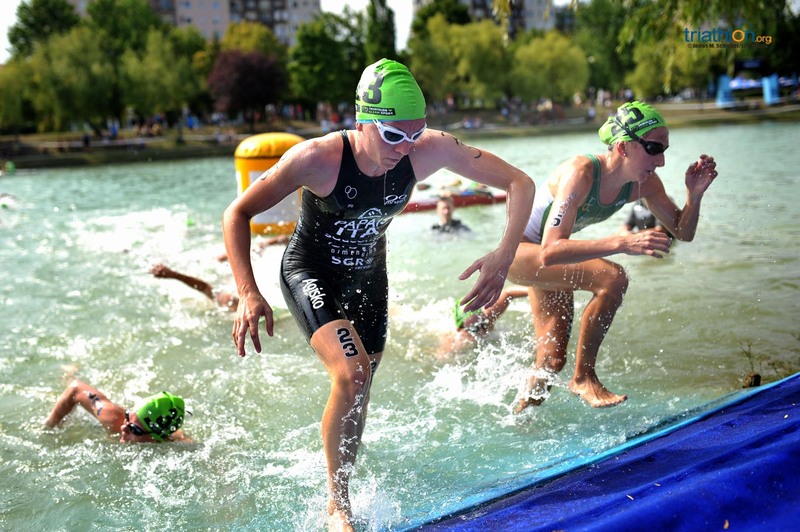 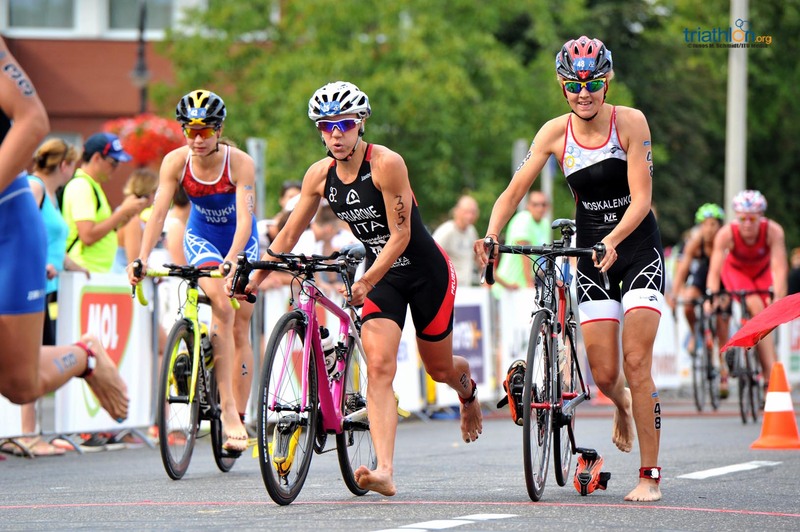 Fast and furious racing in Tiszjauvarus for the ITU 2017 World Cup Semi-finals, with 76 men and 53 women vying for a spot in the finals, which will take place on Sunday. 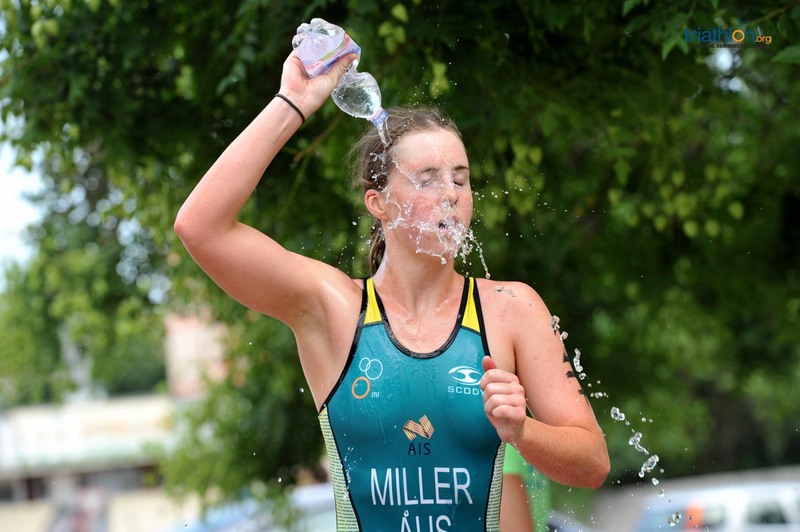 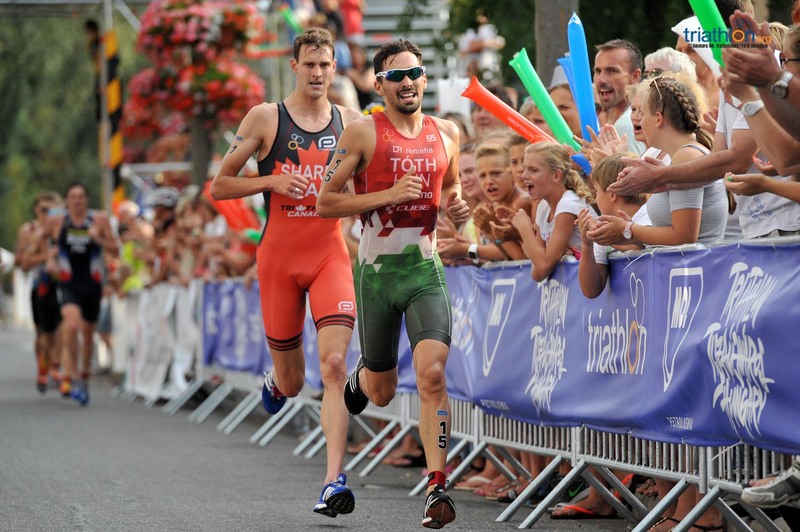 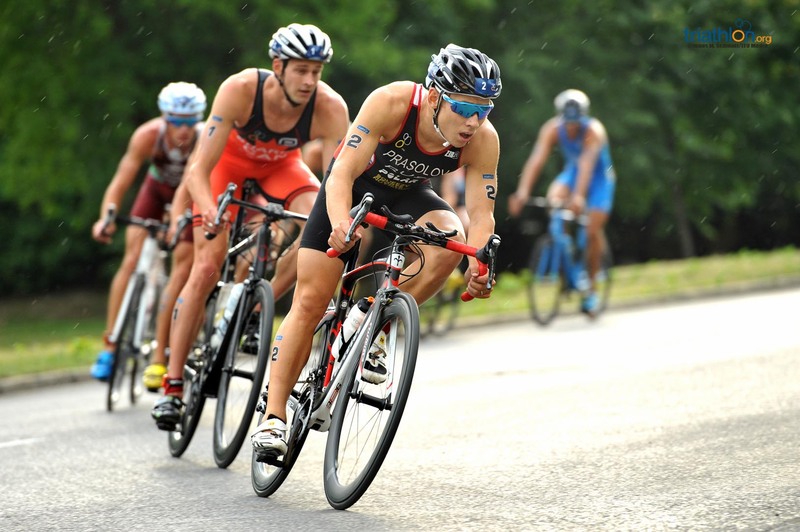 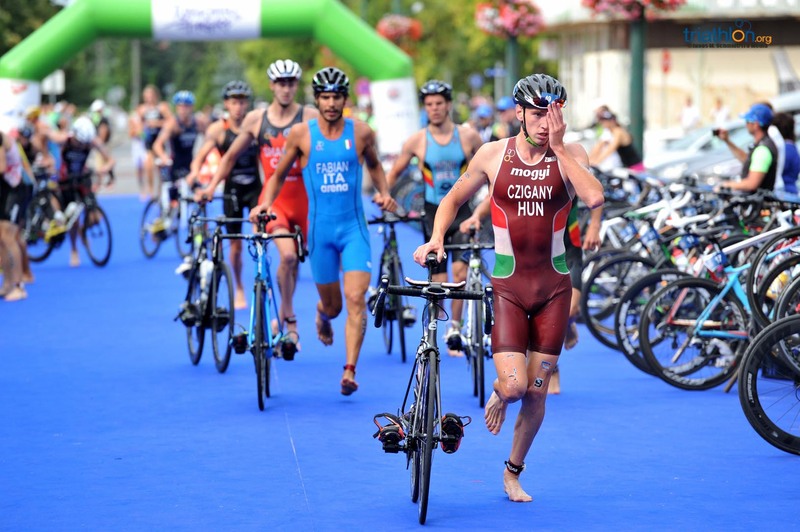 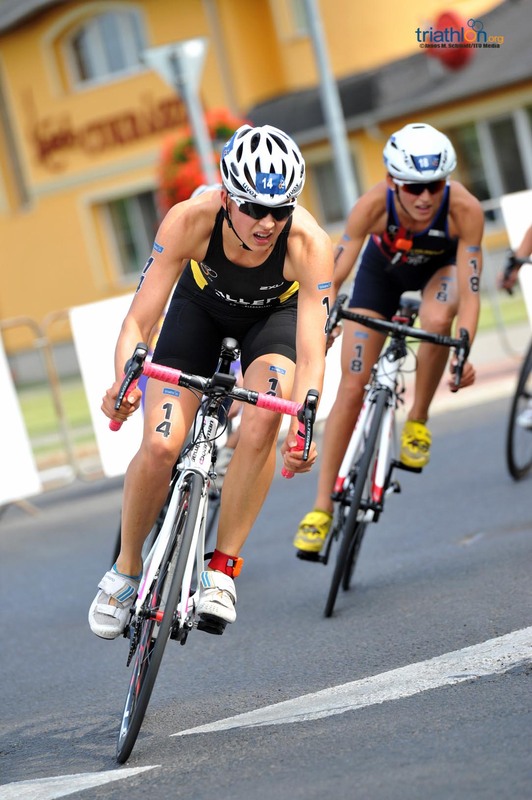 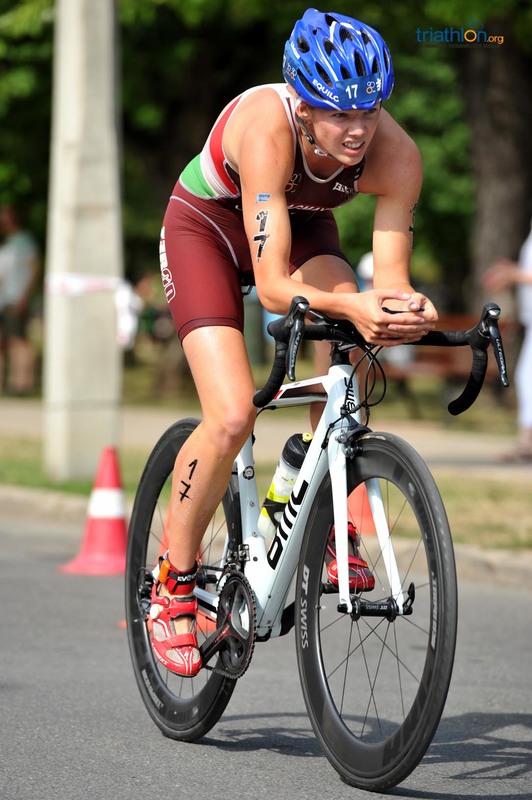 Under the extreme heat of the Hungarian town, triathletes sprinted on a 750m swim, 20km bike and 5km flat run that will change slightly for the finals. 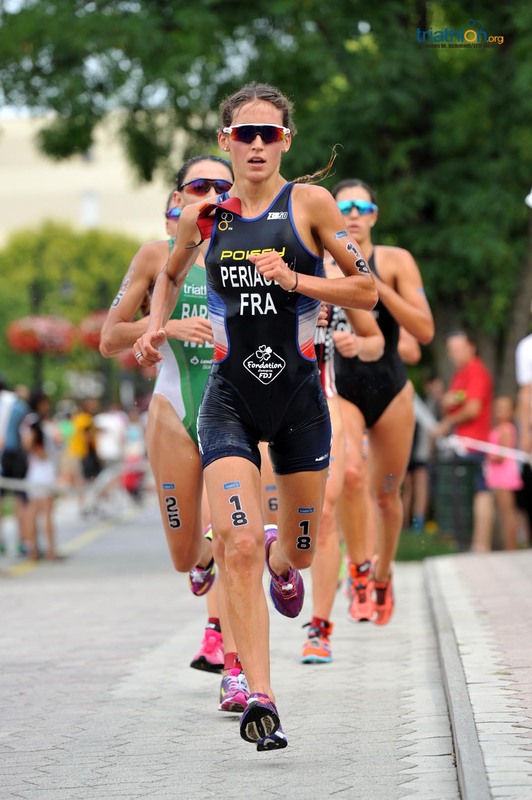 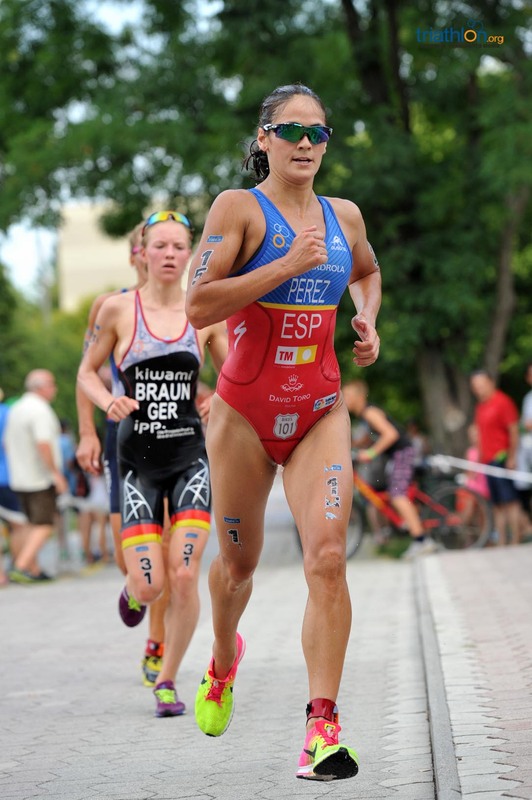 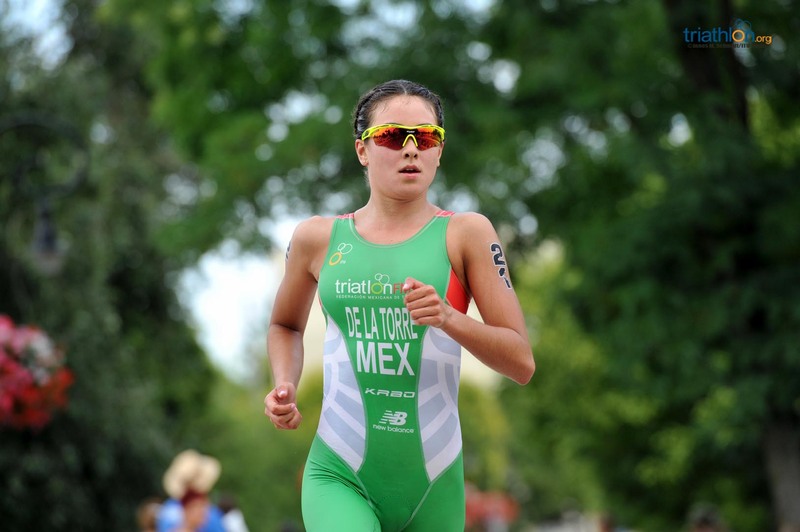 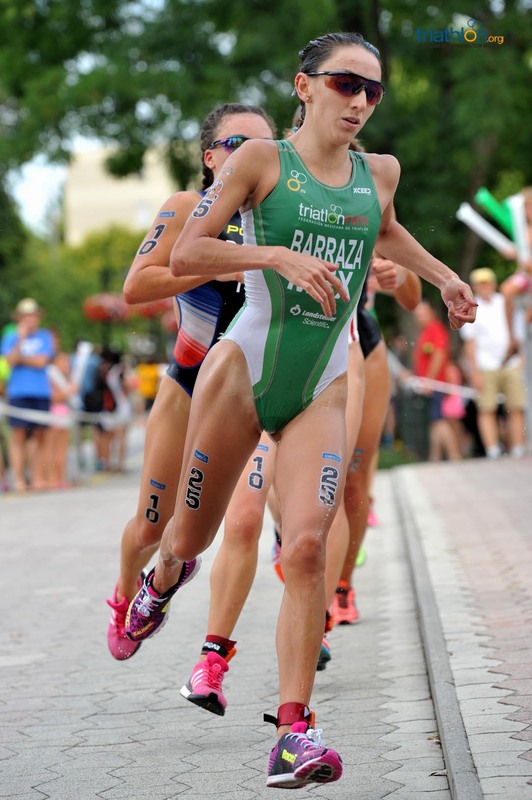 In the first semi-final, it was Spaniard Sara Perez Sala taking the lead in the first few strokes, to be closely followed only by American Tamara Gorman. 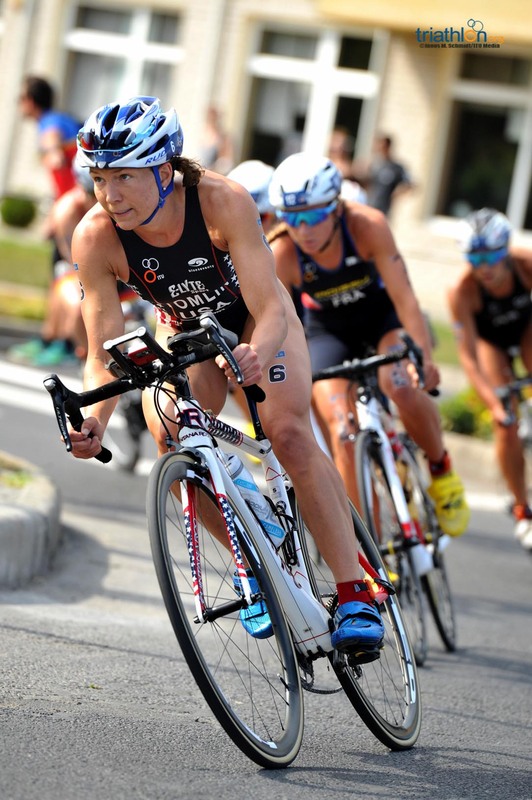 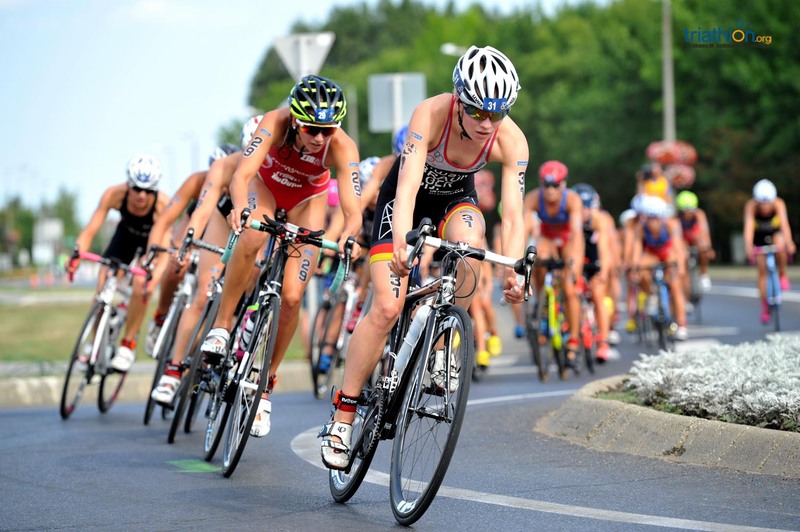 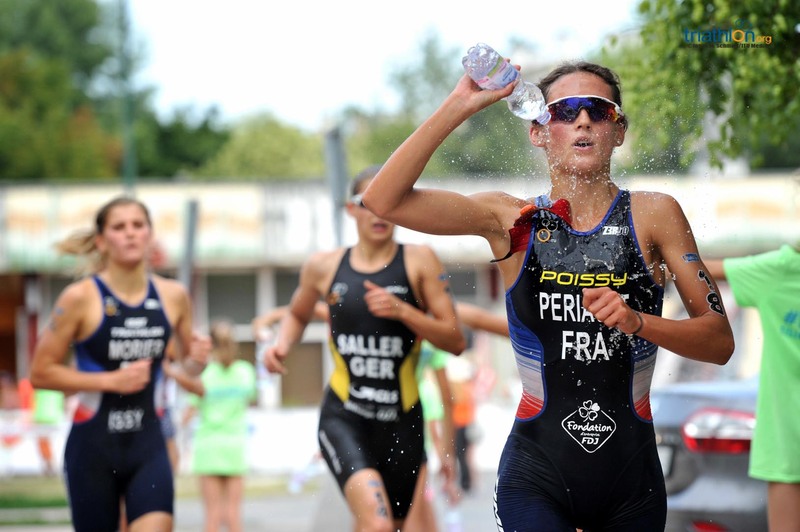 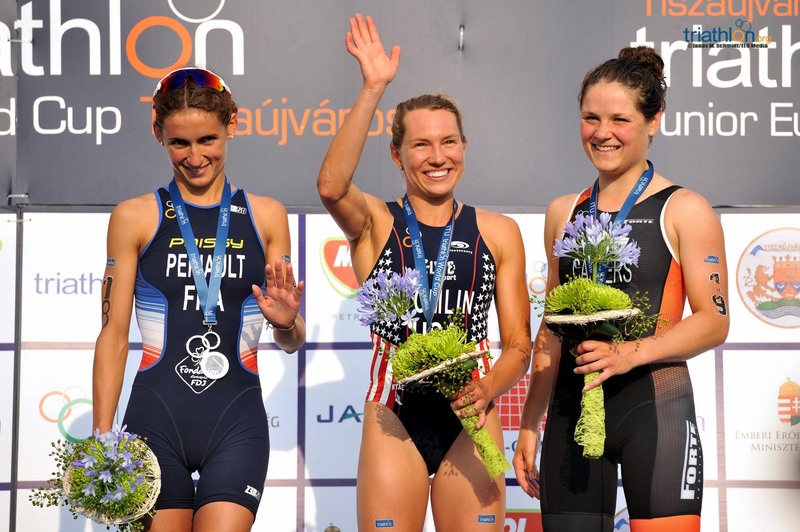 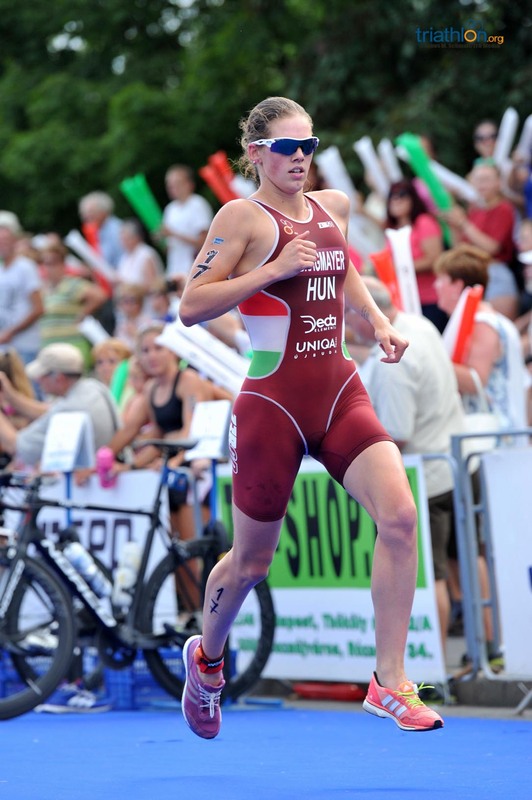 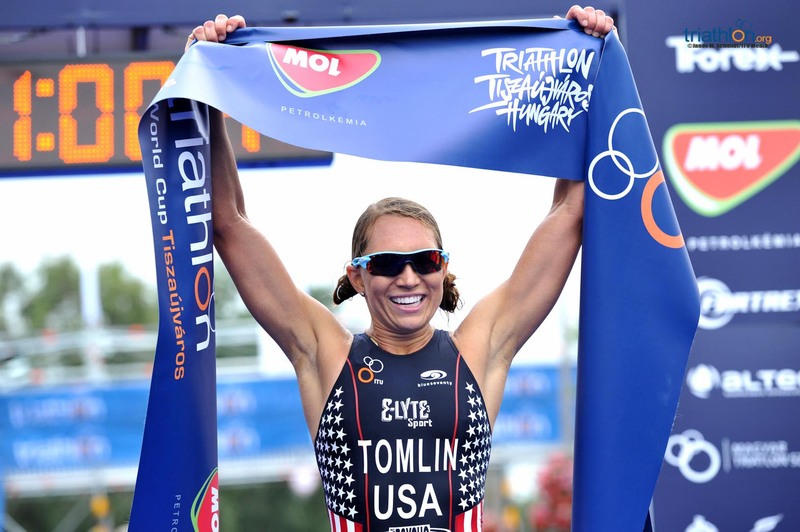 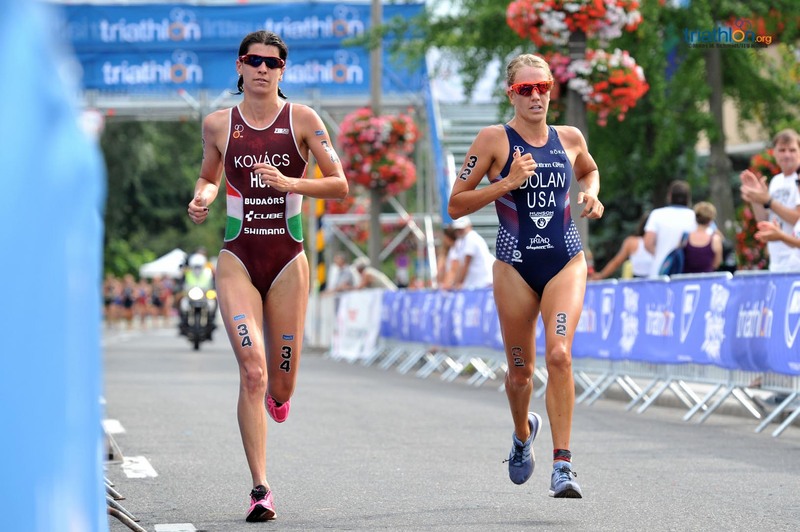 They both led a small group who finished the three laps on the Tiszy lake and flew through Transition, with almost 30 seconds advantage over one of the main favourites for the race, Renee Tomlin (USA). 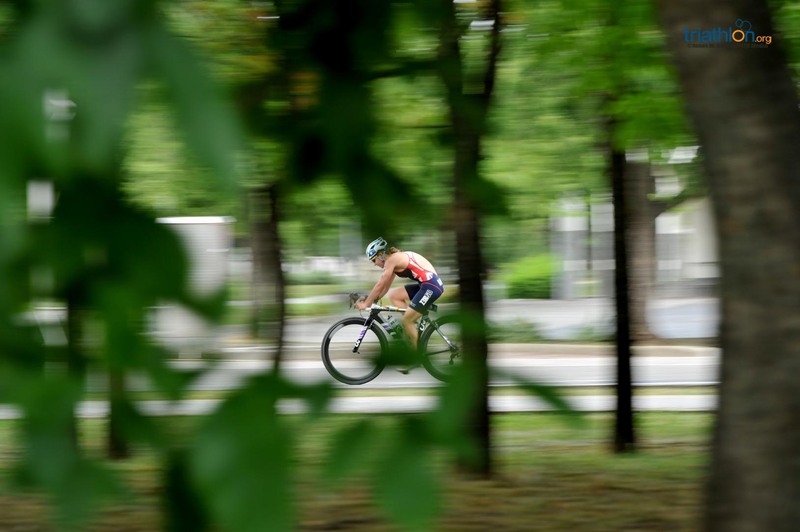 By the end of the two laps on the bike course, the group of eight riders had almost a minute difference, which allowed them to relax a bit knowing that the first 14 will automatically get a spot in the final. 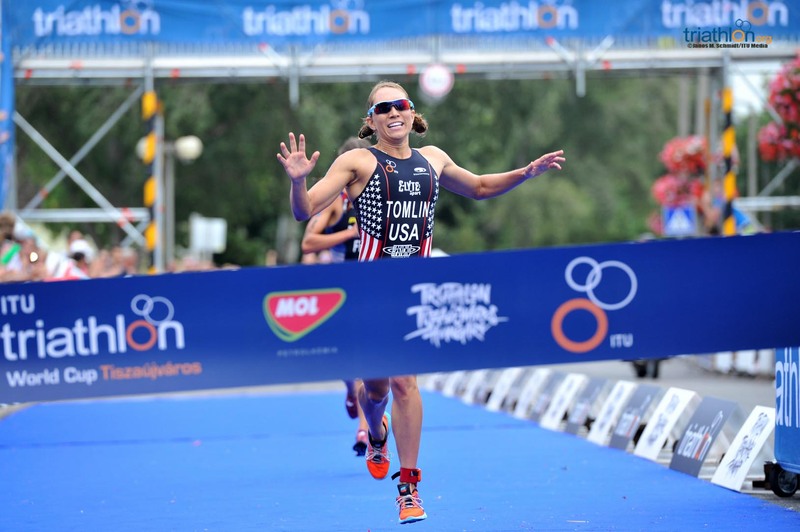 When it came to the run, Gorman showed that the newcomer (it’s her first ever World Cup participation) that she is going to be one of the ones to watch in the final, as will be Tomlin, who made a fantastic run to finish in third position. 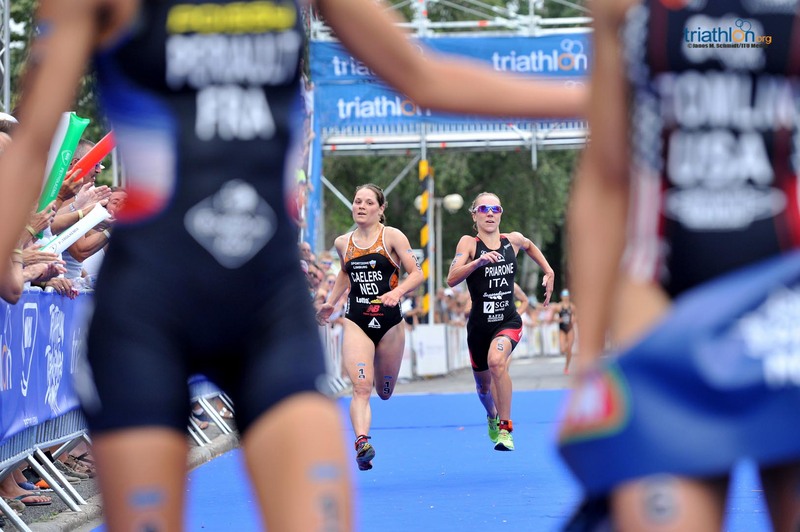 Also qualified for the final on this leg were Emilie Morier (FRA), Elena Danilova (RUS), Sandra Dodet (FRA), Justine Guerard (FRA), Sara Perez Sala (ESP), Bragmayer Zsanett (HUN), Maikee Caelers (NED), Vanesa de la Torre (MEX), Sara Papais (ITA), Adriana Barraza (MEX), Joanne Miller (AUS) and Therese Feuersinger (AUT). 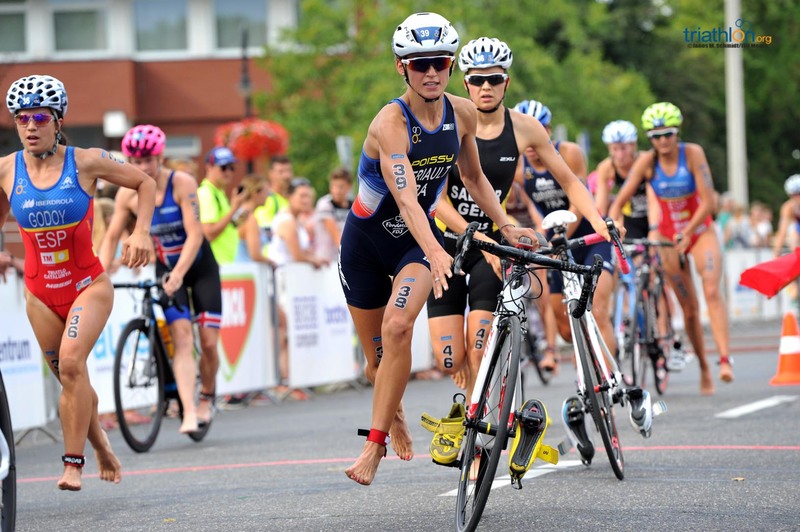 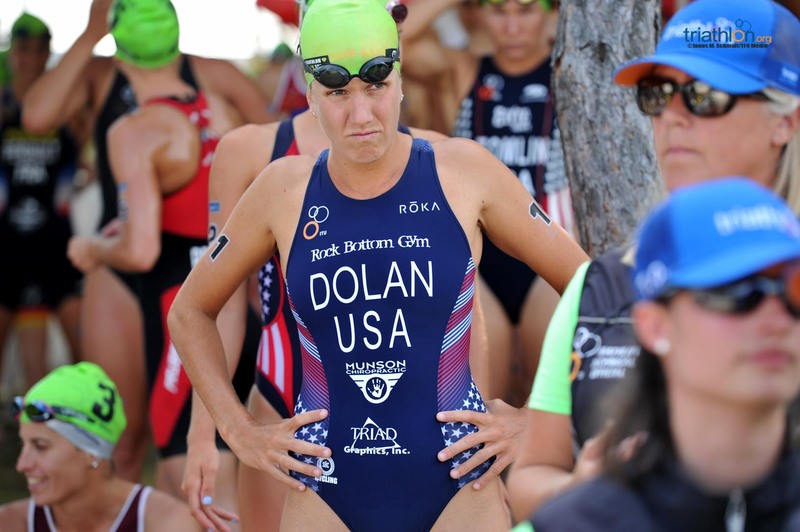 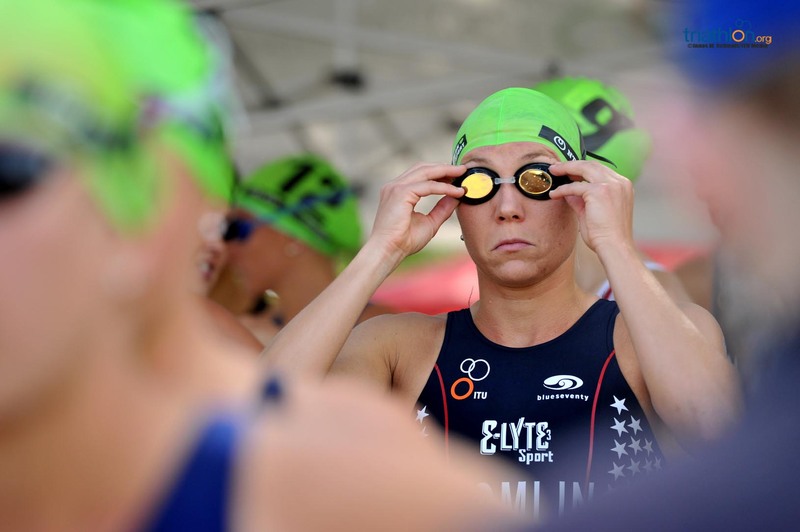 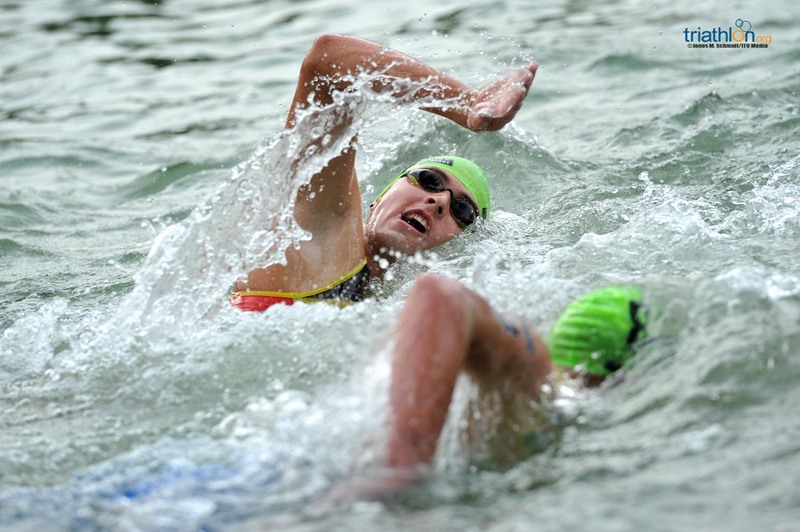 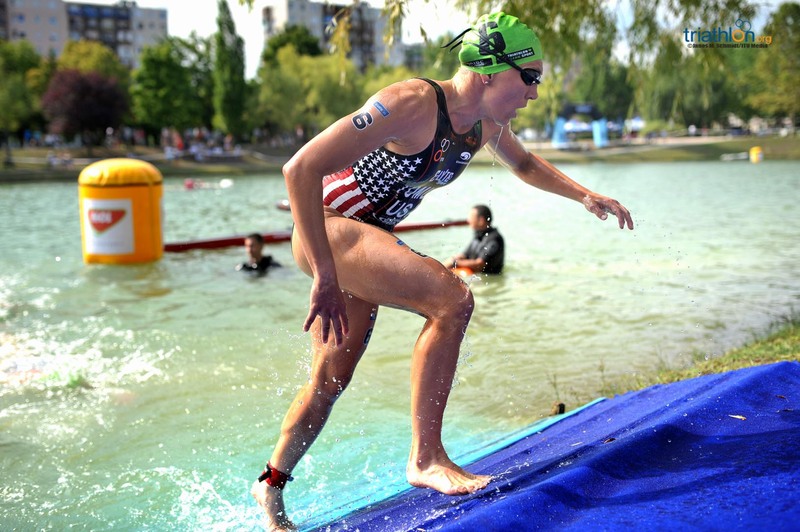 The second semi-final saw another great performance from American, Erin Dolan, who was leading the race since the first strokes of the swim until crossing the finish line. 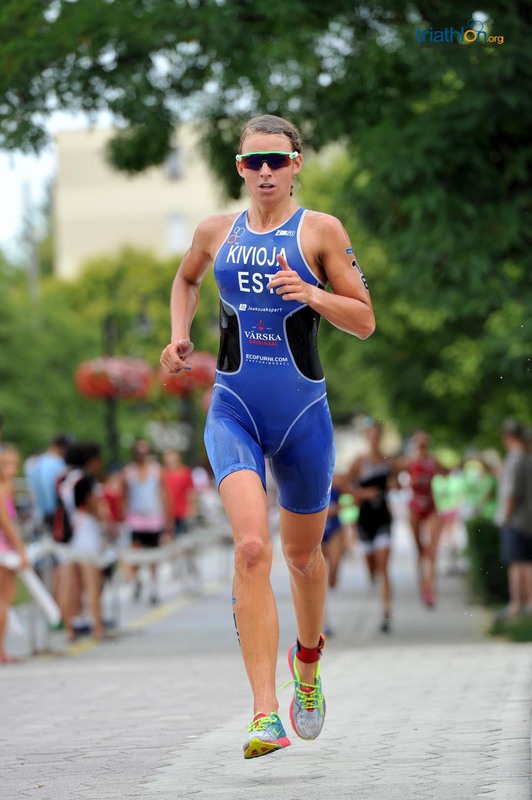 The only one able to follow her strong rhythm was local athlete Zsofia Kovacs, who guarantee herself a good spot by crossing the finish line second. 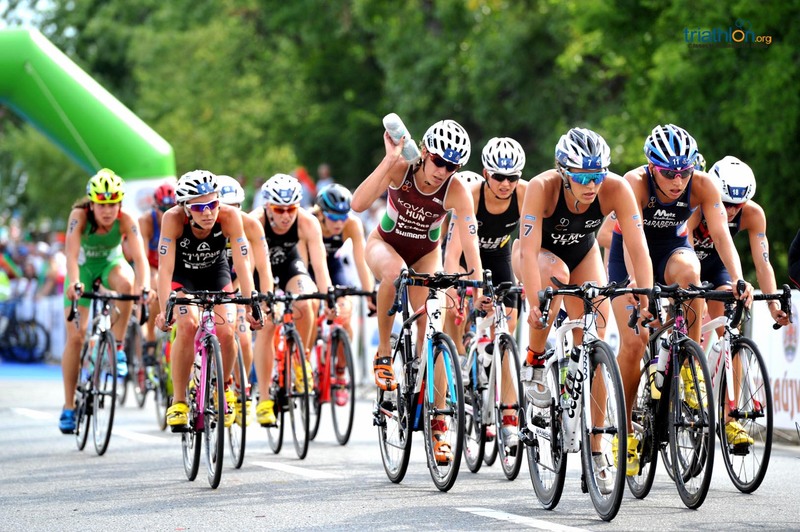 Behind them, a large group of up to eight athletes worked hard on the bike to chase them, but the penalties served by some of them allowed the leading duo to increase the difference on each of the three laps of the run. 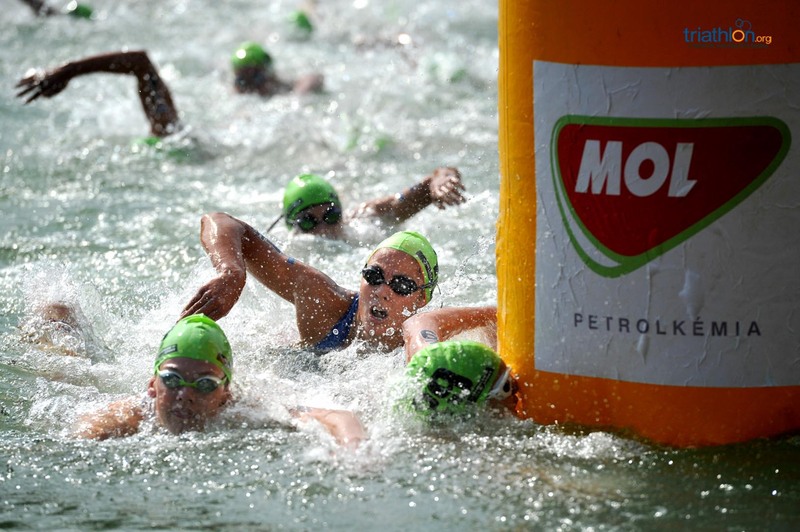 At the end, apart from Dolan and Kovacs, the others that also qualified for the final were Giorgia Prioarone (ITA), Angelica Olmo (ITA), Anastasia Abrosimova (RUS), Margot Garabedian (FRA), Sophia Saller (GER), Kaidi Kivioja (EST), Leonie Periault (FRA), Inés Santiago (ESP), Anna Godoy Contreras (ESP), Romina Biagioli (ARG), Daryna Moskalenko (AZE) and Edda Hannesdottir (ISL). 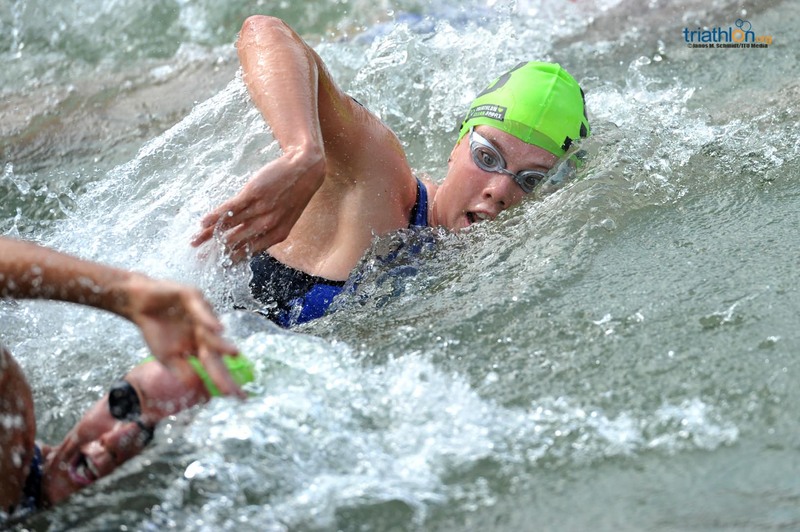 Qualified with the two best times were Anabell Knoll (GER) and Michelle Braun (GER). 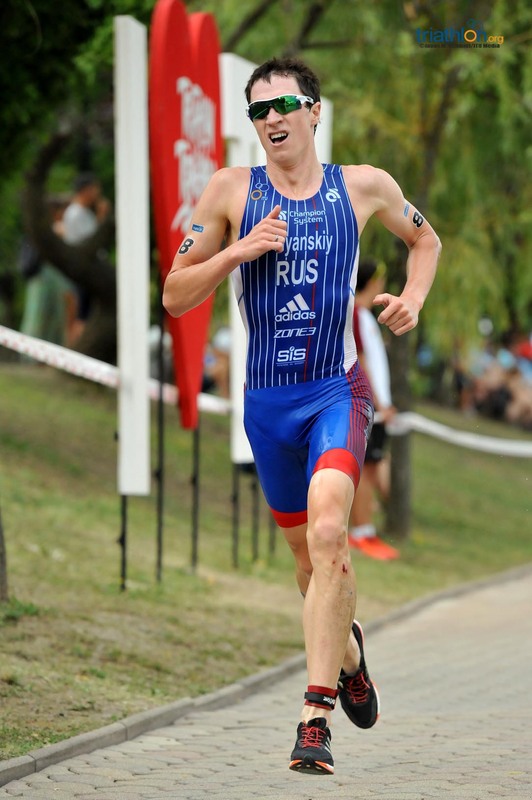 Last years winner, Dmitry Polyanskiy, was the man to beat in the first semi-final, and being one of the strongest swimmers on the elite circuit for the last two seasons, helped him to be in the leading group most of the sprint race. 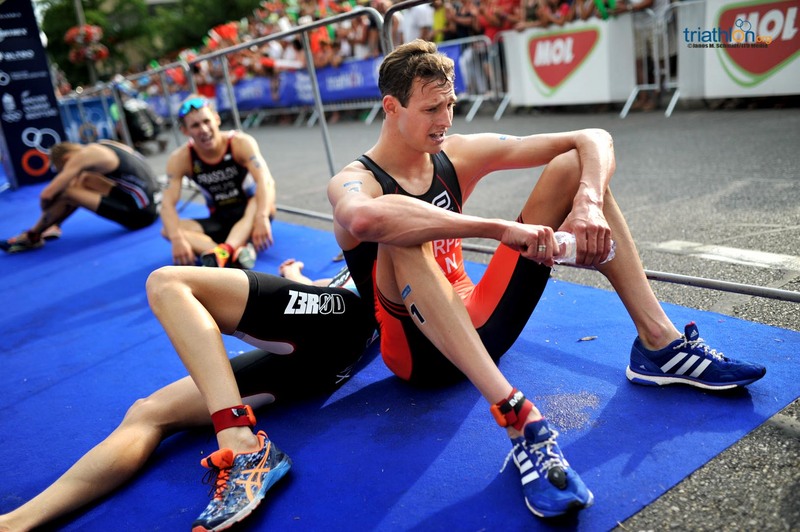 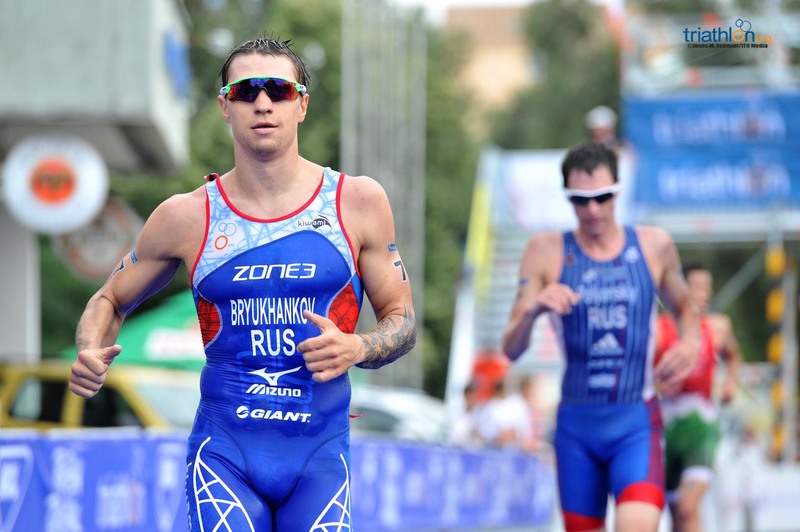 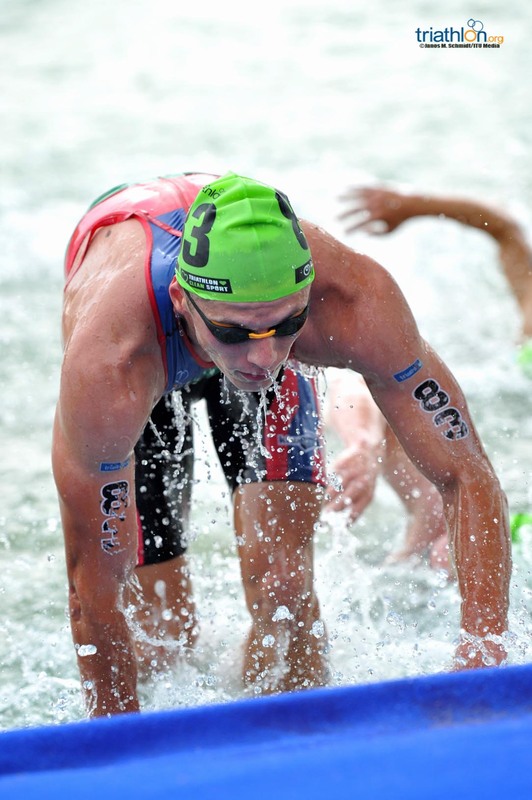 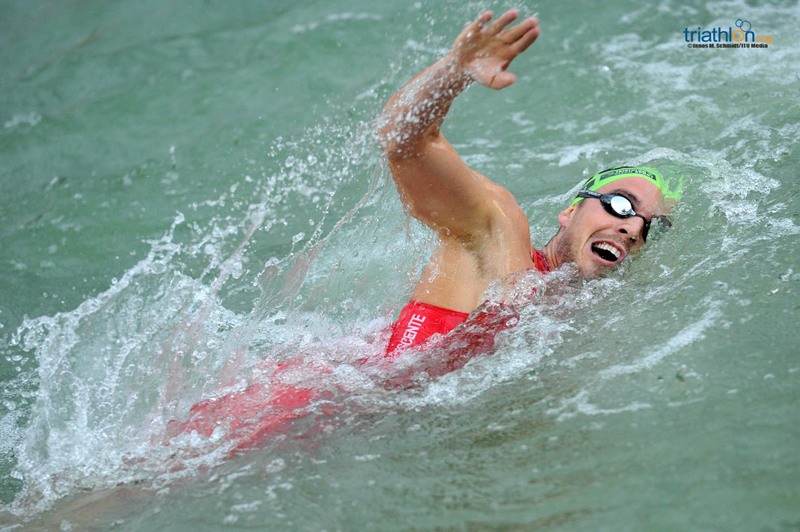 He was only beaten on the three laps of the swim by his compatriot, Andrei Bryukhankov. 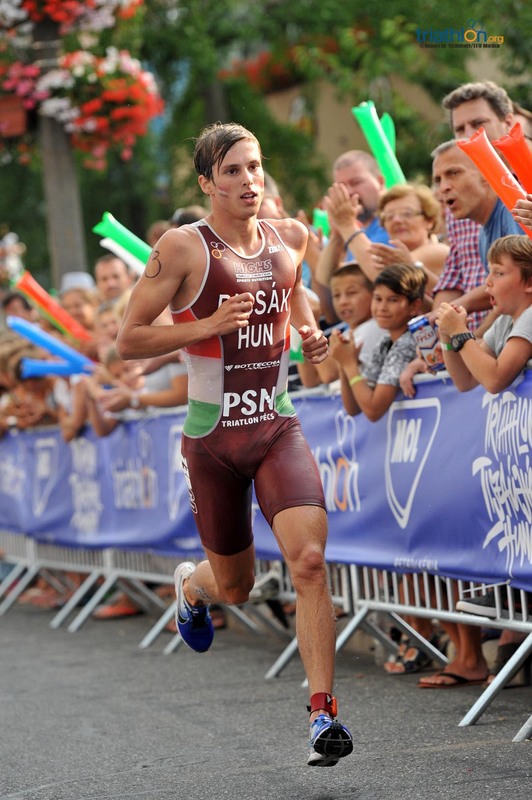 They were both chased during the bike course, to form a large group with eight athletes pushing hard to try to break away of the chasers, and with all to be decided in the run, both Russians slowed down the pace to save some energy for the final on Sunday, to be chased by the speediest athlete today, Hungarian Bence Biksac. 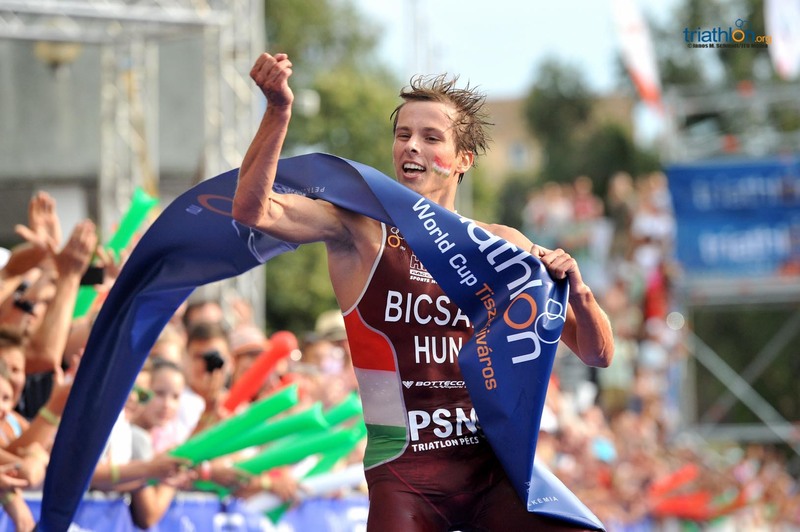 For much delight of the local crowds, it was finally Biksac, one of the first to cross the finish line, stopping the clock on 53.59, followed by the two Russians, Bryukhankov and Polyanskiy. 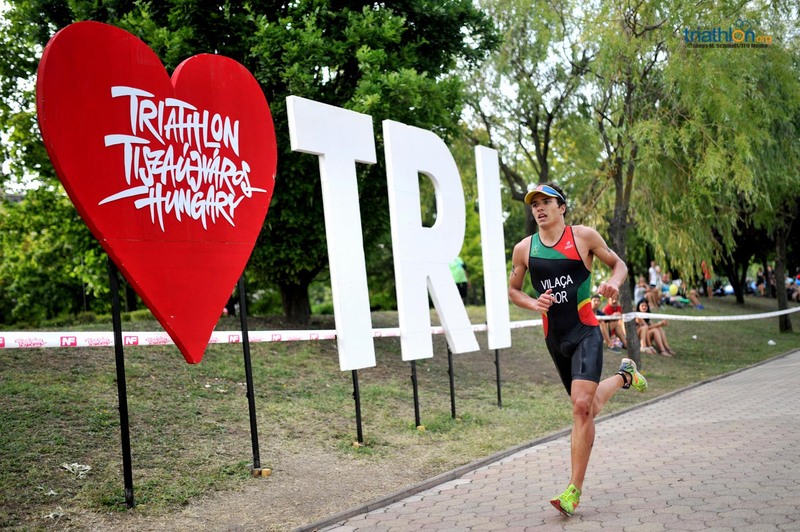 Also qualified in this semi-final were Istvan Kiraly (HUN), Tamas Toth (HUN), Gaspar Riveros (CHI), Jorgen Gundersen (NOR), Oleksiy Syutkin (UKR) and Stefan Zachaeus (LUX). 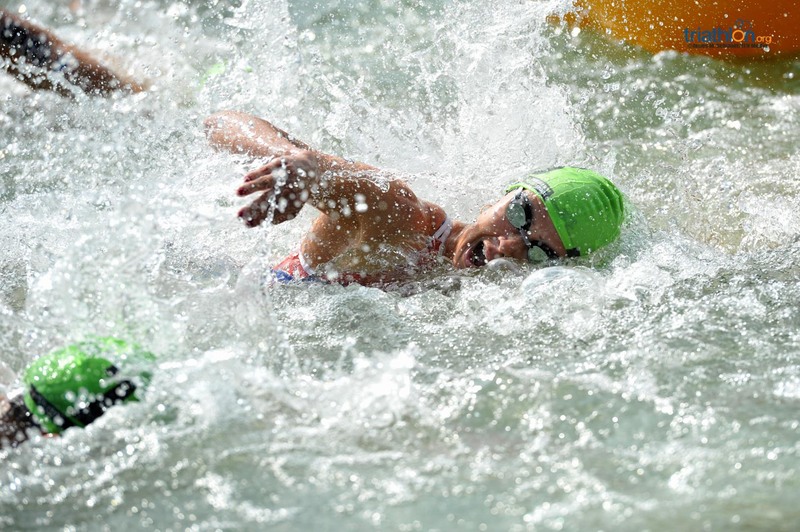 The second was the fastest semi-final of the afternoon, with a large group of up to 15 athletes fighting to get one of the allocated nine spots for the final. 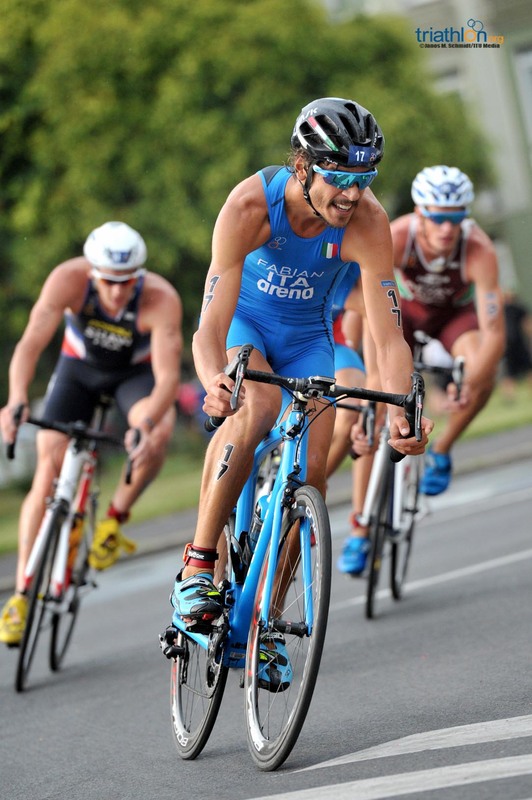 Italian Alessandro Fabian proved himself to be one of the strongest contestants for the final, leading not only the big group on the two laps of the bike course, but also leading the first two laps on the run. 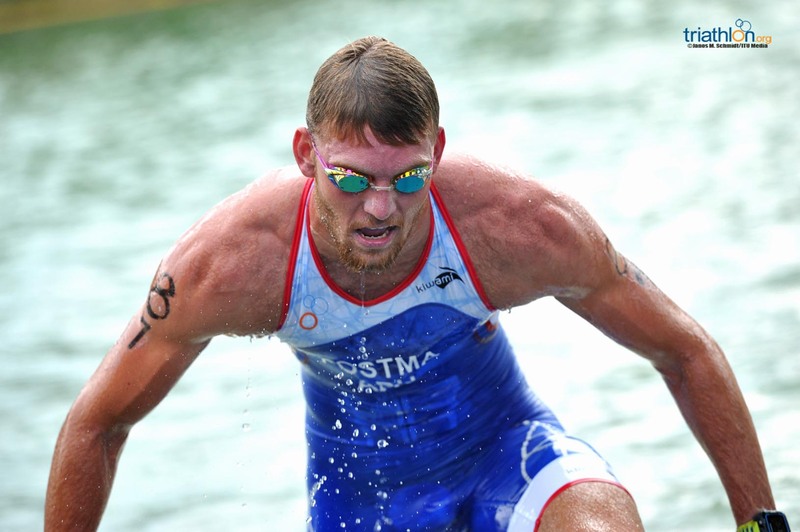 With him, some other big names of the WTS and World Cup series, such as Matthew Sharpe (CAN) and Manoel Messias (BRA) putting up a fantastic run to get the most possible number of athletes in their semi-final into the final. 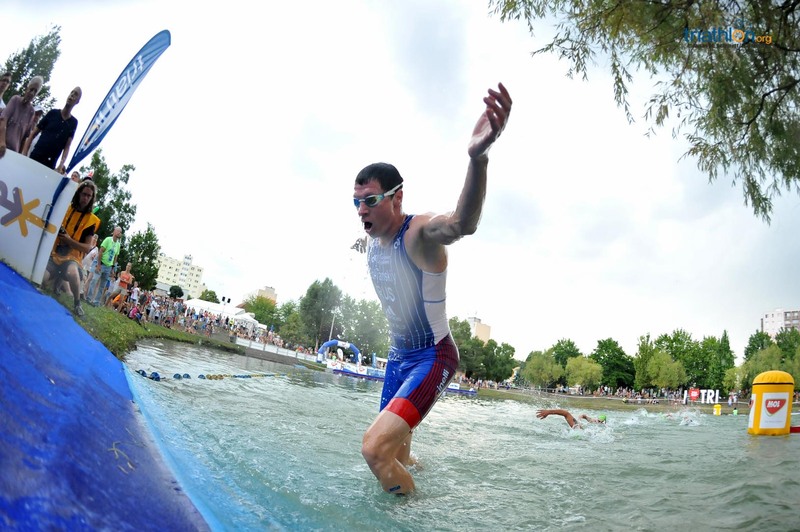 After the 5km run, and with Fabian saving a bit for tomorrow, the first one crossing the finish line was Sharpe, to whom his best time today will allocate him tomorrow the best spot on the pontoon for the final. 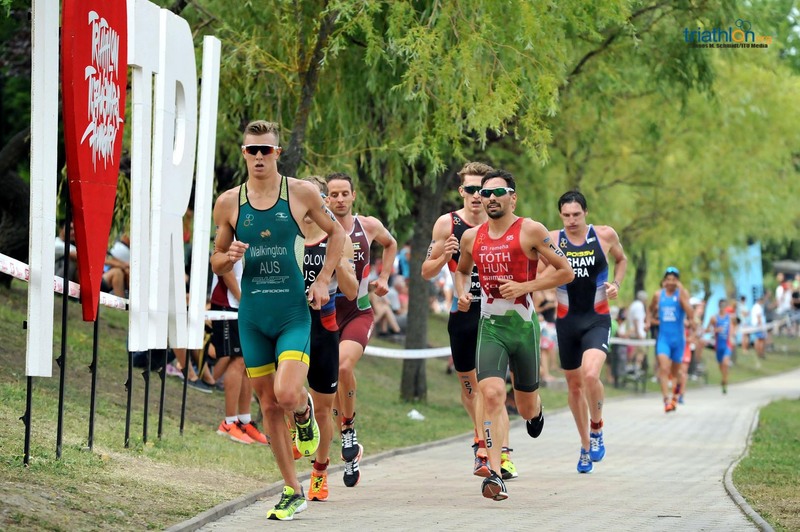 Also qualifying was Vasco Vilaca (POR), Messias, Christopher Perham (GBR), Massimo de Ponti (ITA), Fabian, Peter Denteneer (BEL), Luciano Taccone (ARG) and Mark Devay (HUN). 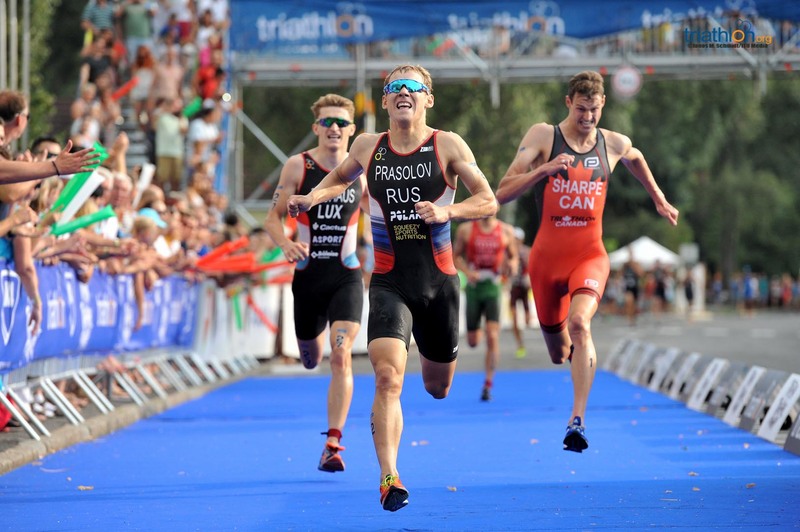 Florin Salvisberg (SUI), Menno Koolhas (NED) and Jannik Schaufler (GER) making it to the final as well, with the best three times of the three semi-finals. 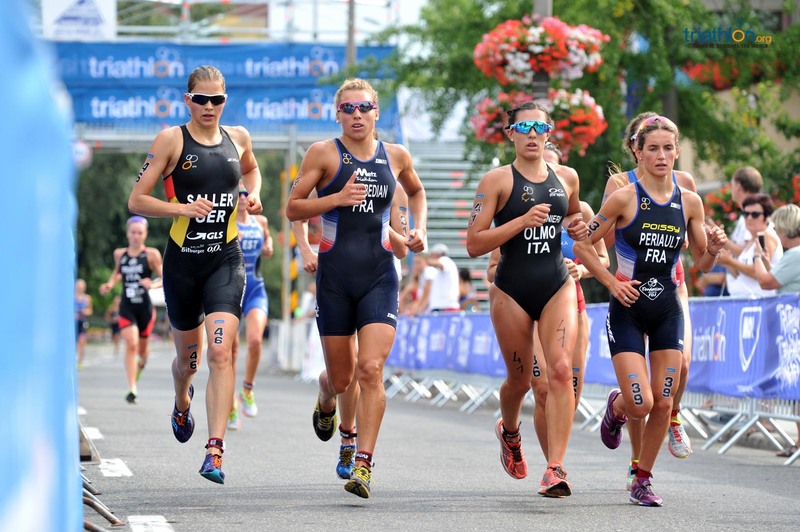 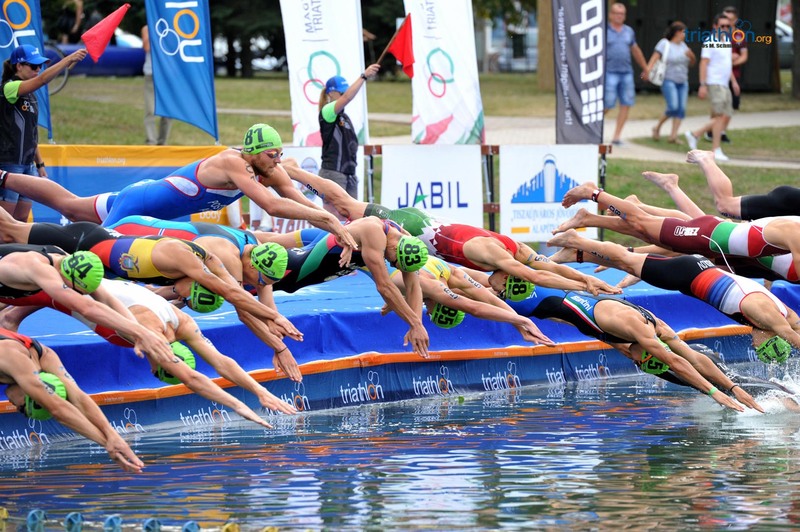 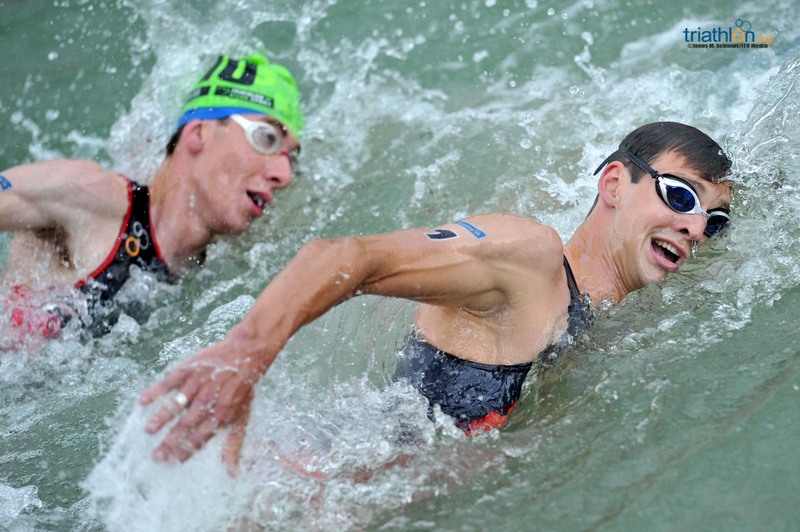 The last semi-final in Tiszy also saw a big group swimming together and biking as well, with all to be decided on the 5km run at the very end. 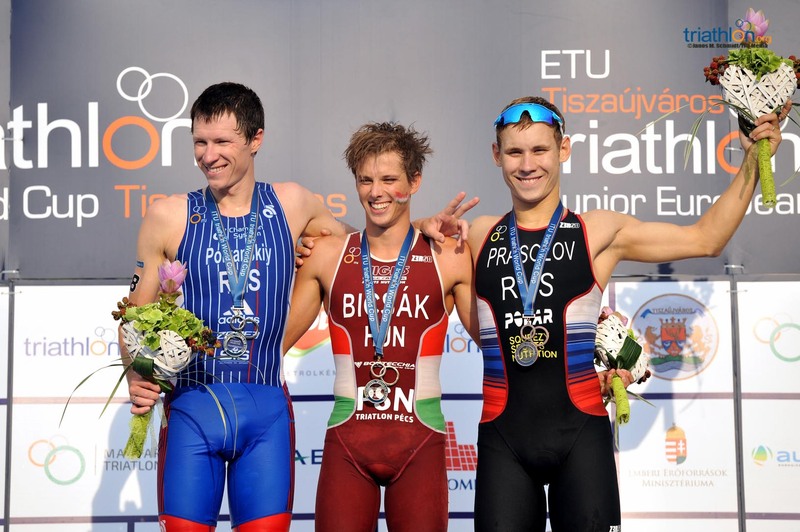 And with the last rays of the sunlight hitting hard in the Hungarian town, it was Russian Ilya Prasolov the first one to cross the finish line, stopping the clock at 53.54, followed by Jonas Schomburg (ITU) and Akos Vanek (HUN). 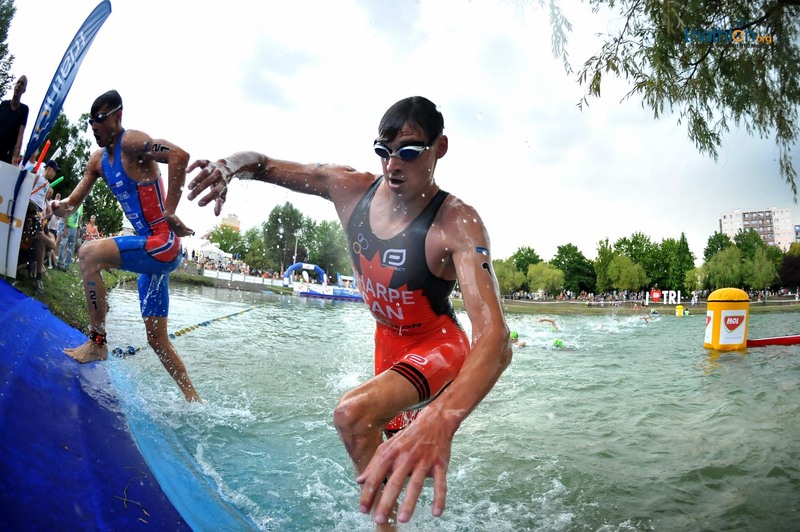 Following them, also qualifying for the final were Kenji Nener (AUS), Marcel Walkington (AUS), Charles Paquet (CAN), Raoul Shaw (FRA), Juan Jose Andrade Figeroa (ECU) and Casper Stornes (NZL).